I was browsing Google images on this gloomy “rain day” looking for different graphics that illustrate Bloom’s Taxonomy, as they relate to the integration of technology into our classroom programs. I found another visual that connects a lot of dots! It’s loaded. Asking questions is a powerful part of the learning process no matter where the learner is. This next visual includes 25+ question stems (found on Teach Thought, and Kris McElroy’s pinterest board) framed around the early, non-revised Bloom’s Taxonomy. Take a look! So how do we help our students understand Bloom’s Taxonomy? I found some great ideas which I’ve included below. One of the ways we can talk to our students about “growing their brains” is to travel on our ‘brain train’ along the memory track, where we read or do something again and again, all the way to the creating track, where we build or make things that you think up all by yourselves using what you already know. Along the way we’ll travel on several different tracks at different times while our brains are growing. I like that this story is simple yet effective. It can easily be adapted for older students using different contexts. Over the next few months our grade 2 goal is to have a better understanding of how we are learning by asking the right questions, and learning how to find the answers. If we work together and focus on behaviours that require higher-order thinking skills, we will become better learners. Share your story! 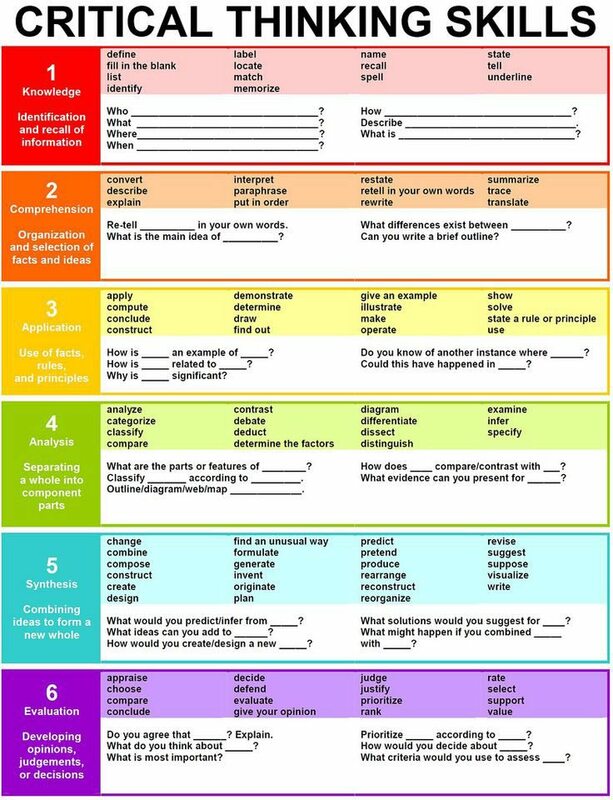 How are you using Bloom’s Taxonomy in your classroom?